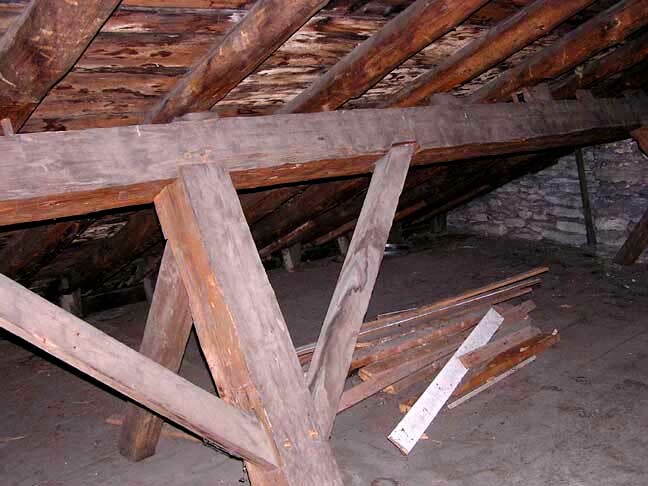 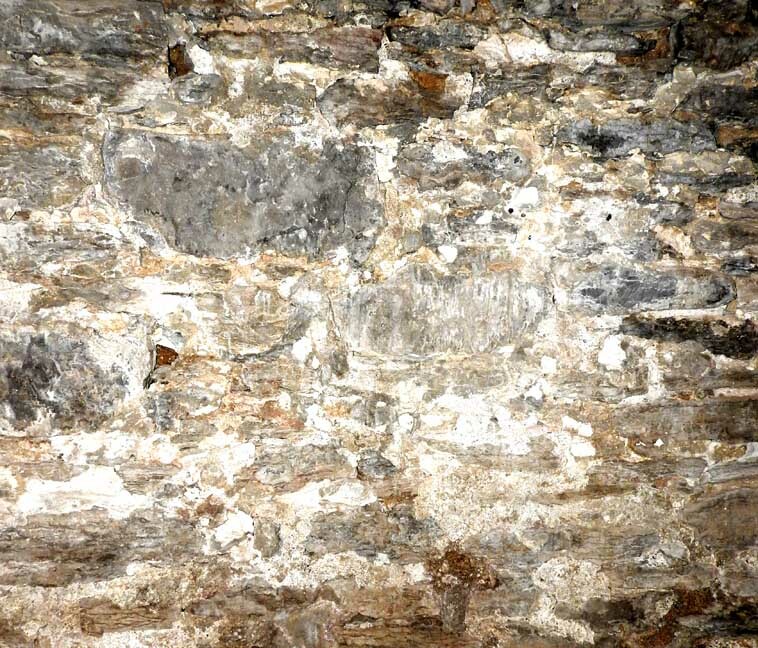 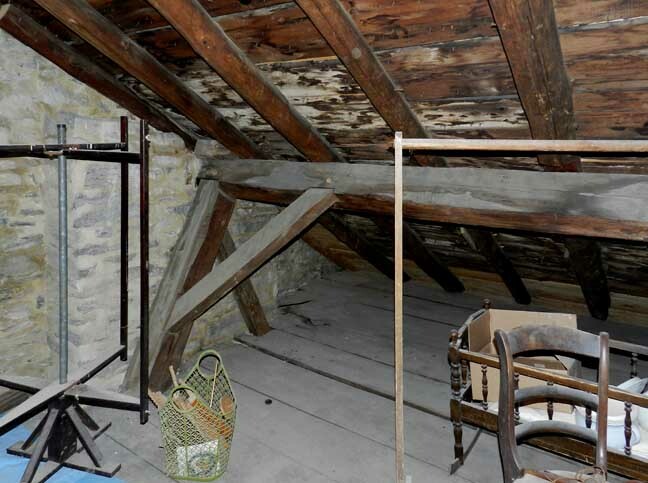 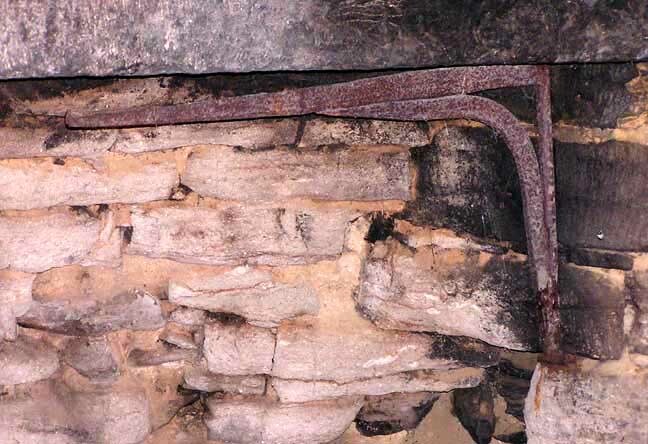 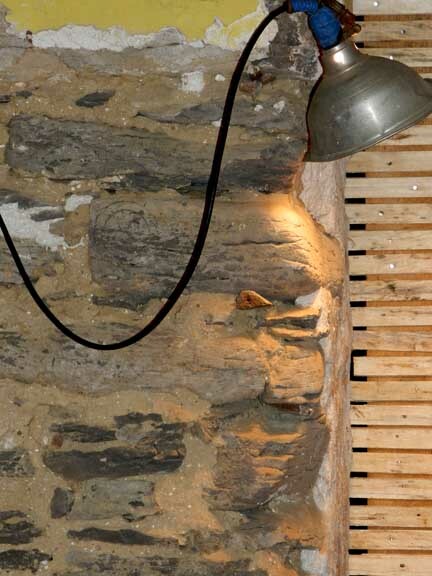 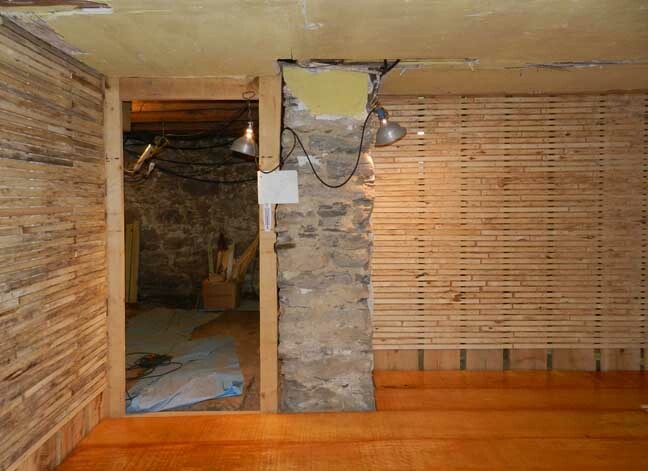 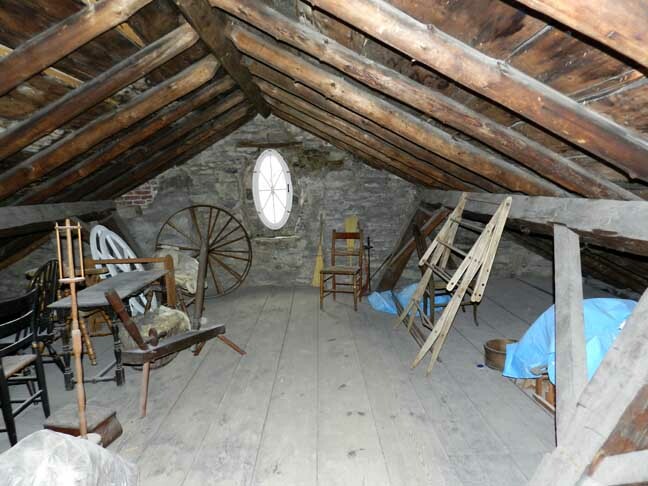 Horizontal purlins under the rafters supported by braced purlin posts which extend below to the 2nd floor and into the basement on top of stone posts..
Horizontal purlin under the rafters supported by braced purlin posts which extend below to the 2nd floor and into the basement on top of stone posts. 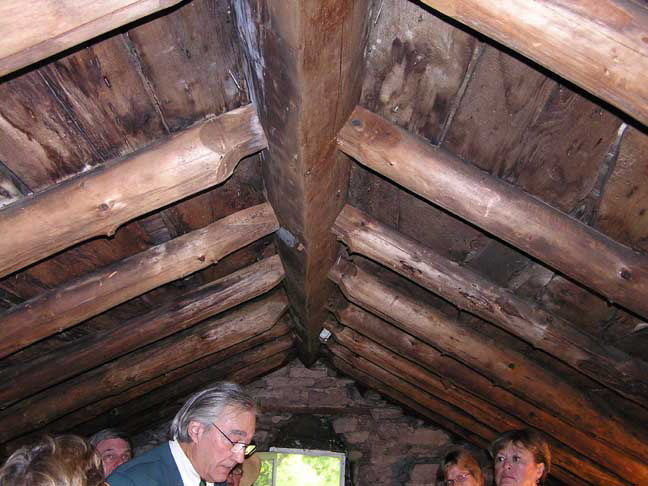 At the right, note horizontal purlins under the rafters supported by braced purlin posts. 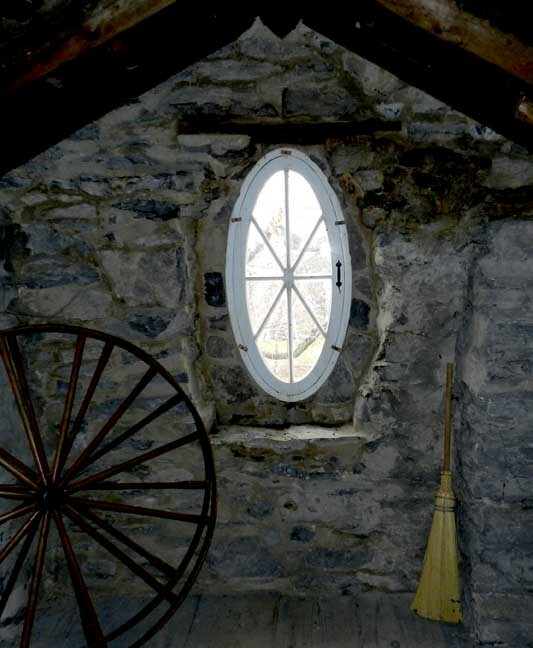 This is a oval window reconstruction, as is the window on the opposite end of the attic. 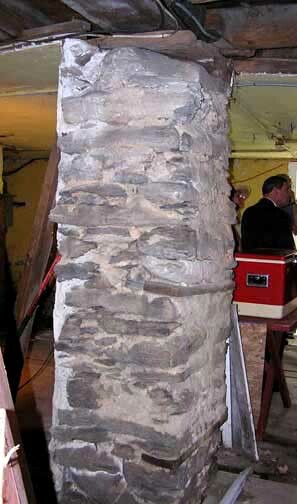 Onondaga limestone pillar detail ... 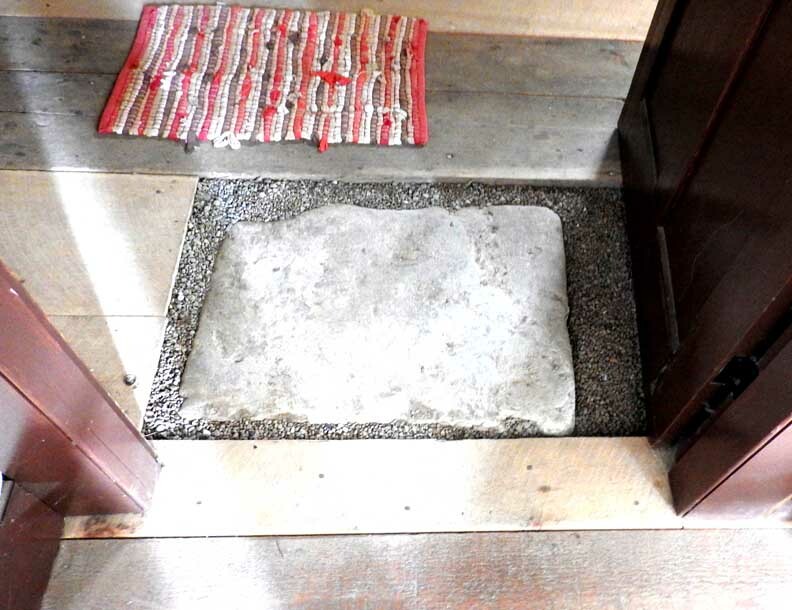 The rounded corners of the stone indicate that these were pieces probably found lying on the ground, i.e., these were not quarried rocks. 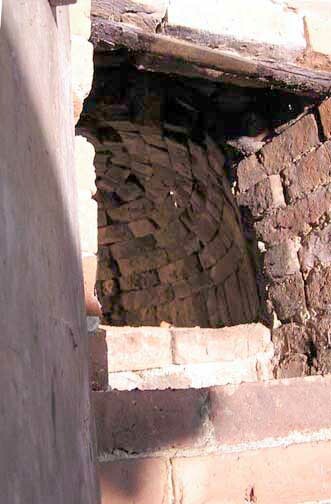 Beehive oven door open ... Bottom section of the beehive oven is for burning wood, the heat from which rises to the upper beehive oven section ... 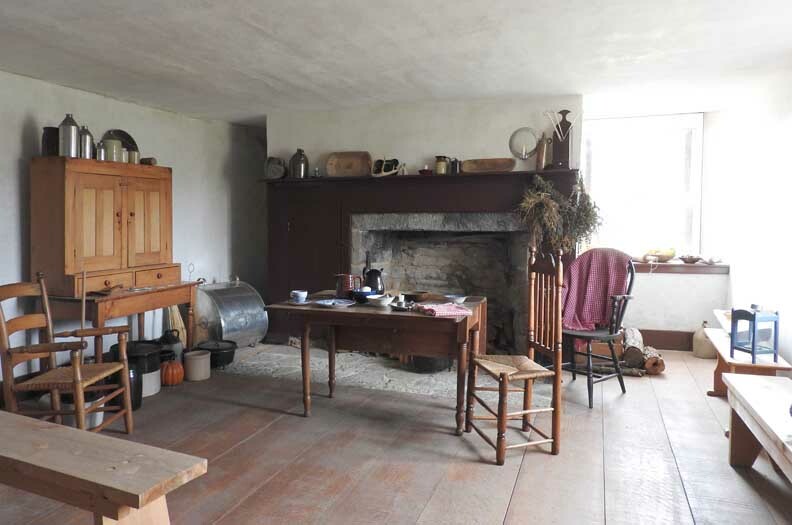 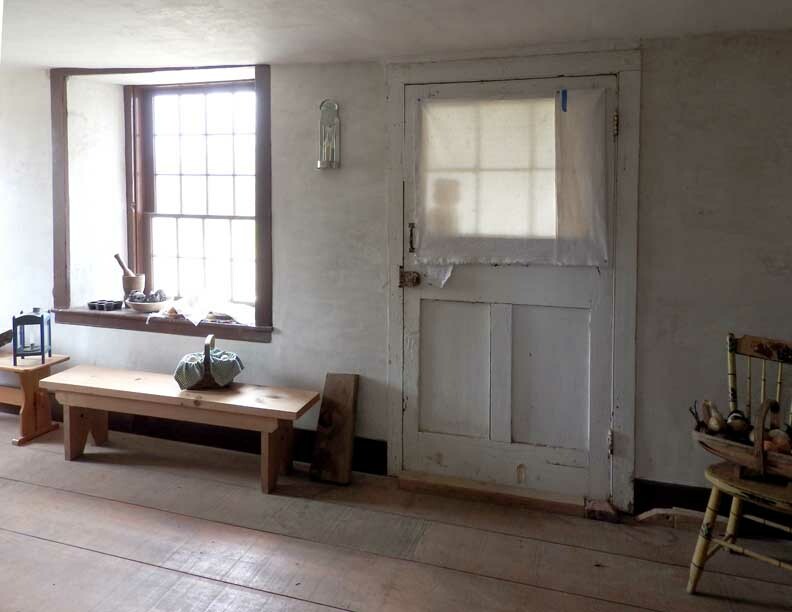 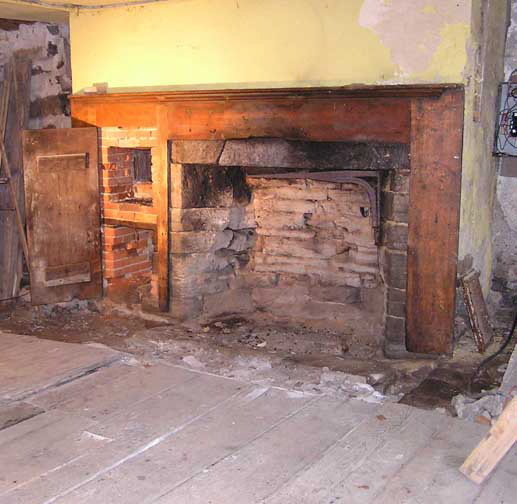 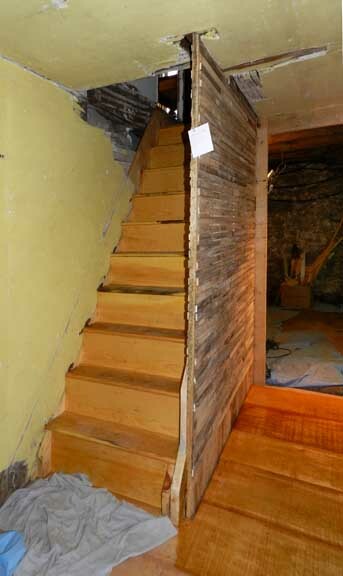 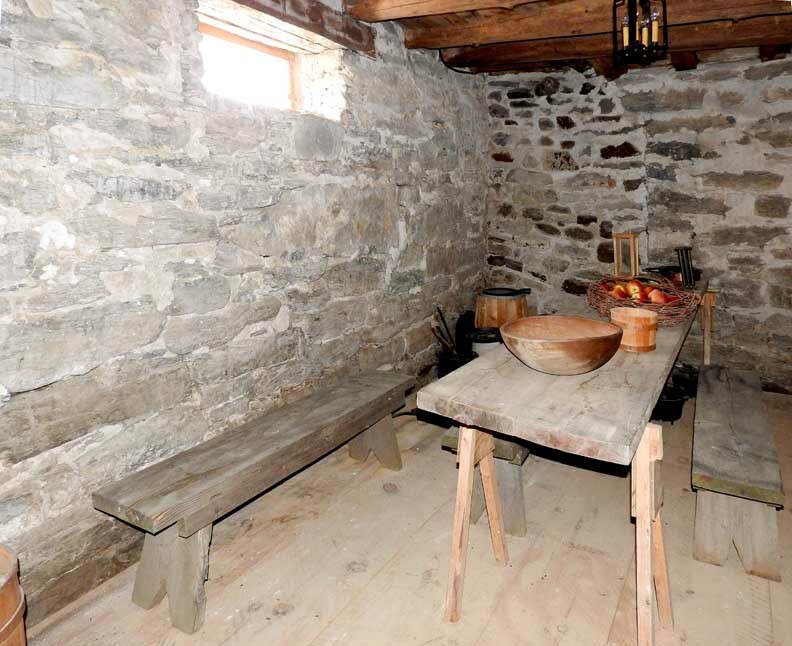 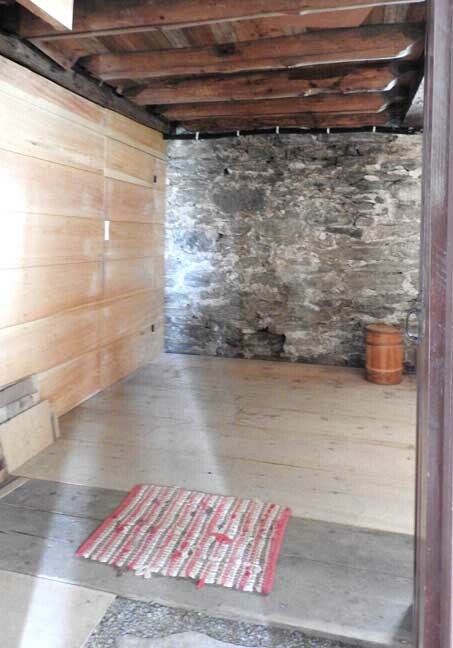 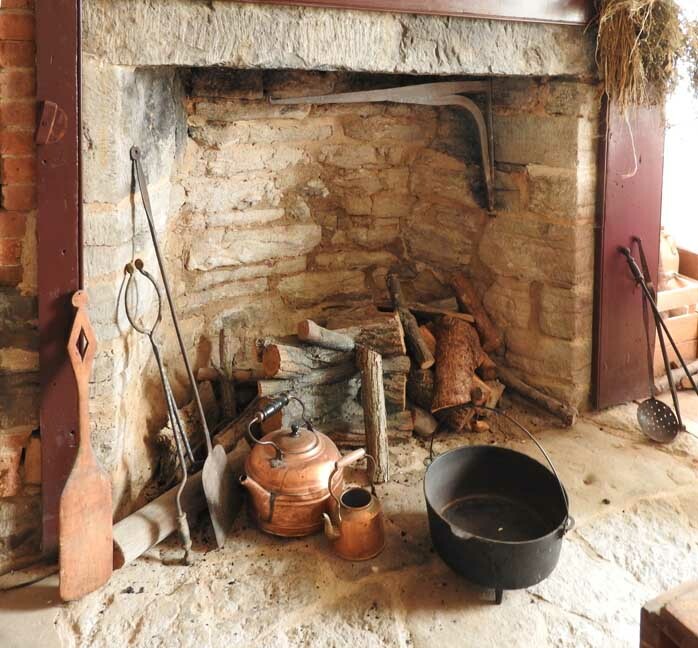 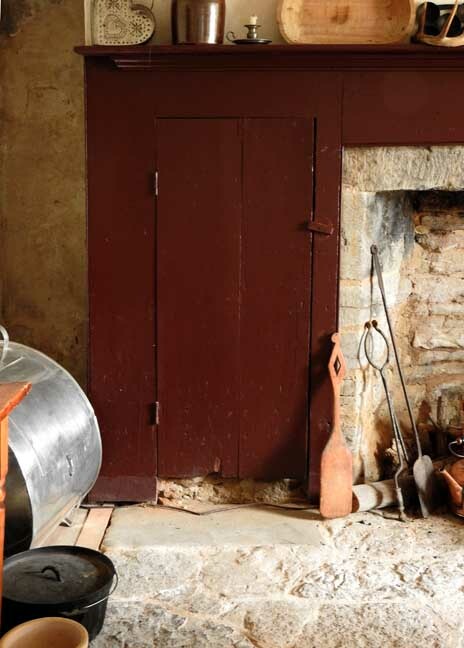 Floor needs replacement; mortar pointing is needed; hearth needs work. 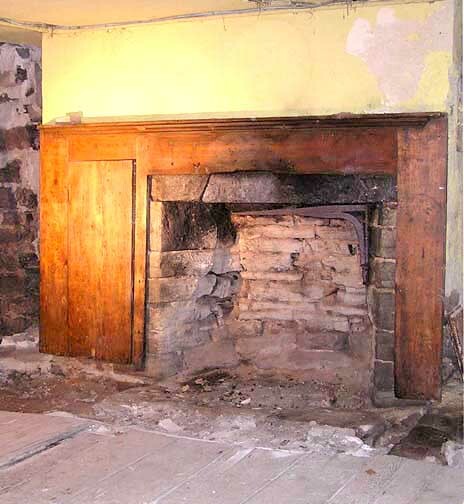 Restored fireplace surround ... 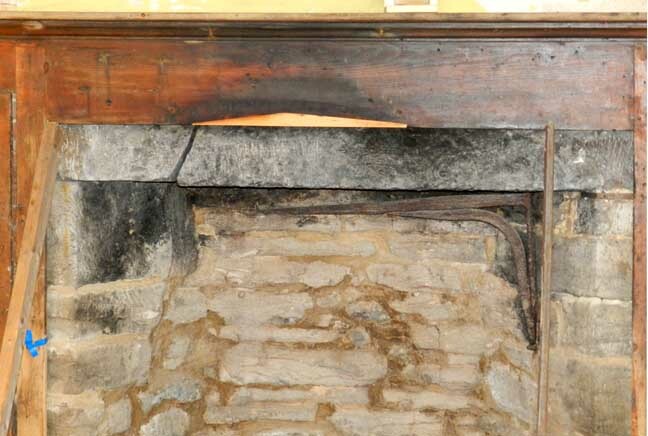 The new wood in the center of the mantel bottom fills in a gap in the board ... 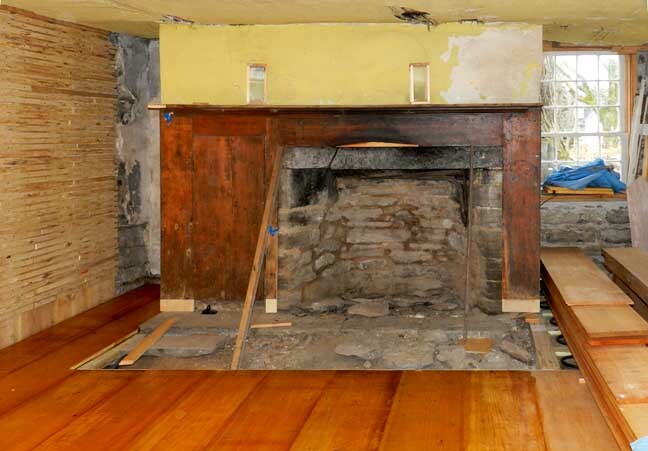 The Onondaga limestone fireplace wall has been repointed ... 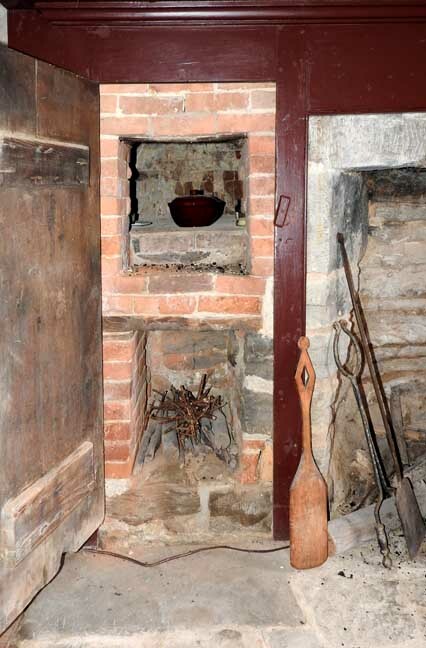 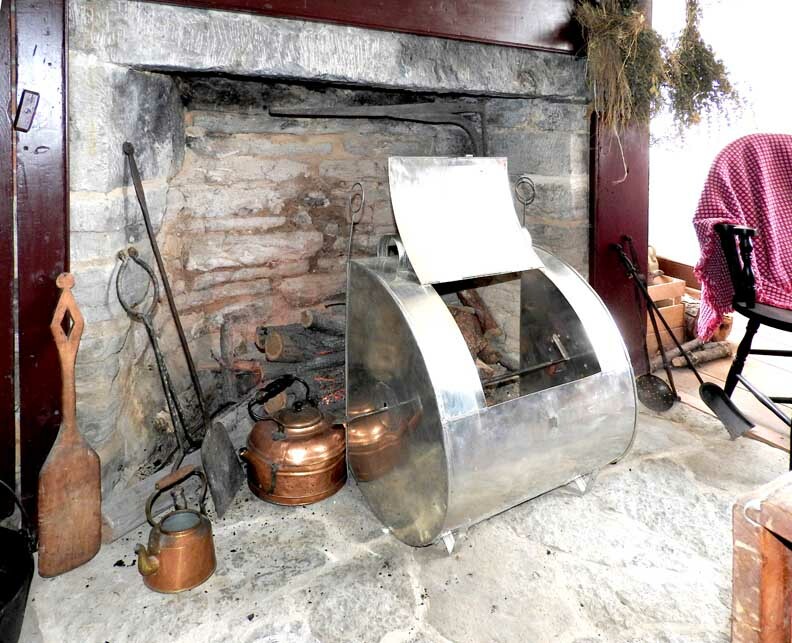 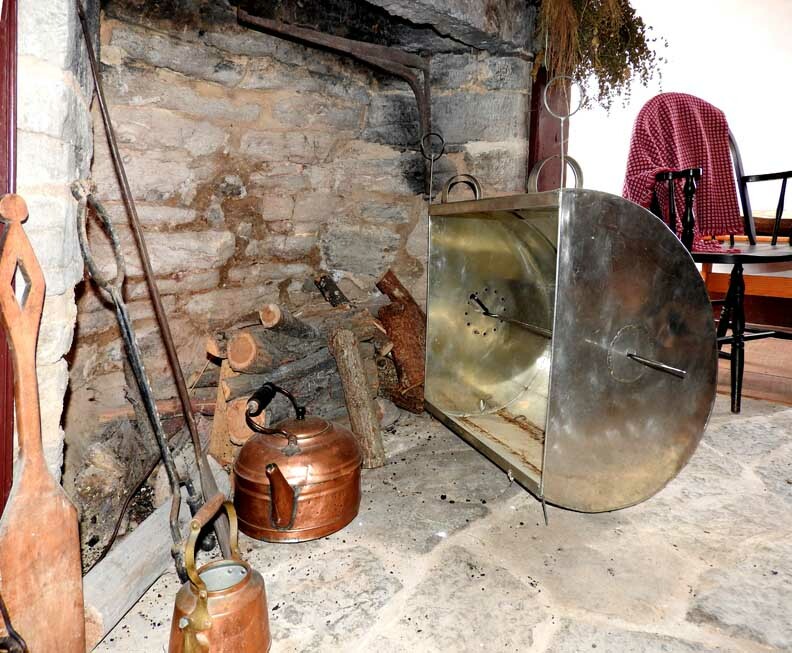 Note the original three foot long wrought iron cooking crane.